and some understanding of the healing qualities and names. After completion you may continue onto The Teacher Training level, if you wish to teach this module. Reiki, plus the Crystals, and the Rays of the Ascended Master Kuthumi, provide a very loving and powerful healing module, whilst supporting your own spiritual growth, and gaining a new professional skill. This Course has the added bonus of being under the Illuminating Ray of the Ascended Master Kuthumi, you will be given a symbol to make a deeper connection and receive guidance. For more information about Kuthumi, please go to the end of the page. To become a practitioner, you will be required to submit some homework including 6 case histories. The homework will prepare you to continue in your training, and complete the 1 day Training Course to become a Crystal Ray Teacher. If you prefer to use the training for personal use, friends and family, then the course is also perfect for you! Case studies are only required to be submitted, if you wish to continue on and become a Crystal Ray Teacher, which is one extra day training. 6 Case Histories to be completed, and submitted before the Teacher Training Day. 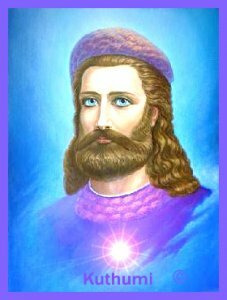 Regular meditation connecting with Ascended Master Kuthumi, keep a notebook. You will receive on going support after Module 1, by email, or phone if required. 1 Day from 10.00 to 5.30pm. Please enquire for dates. Group Training Day or one to one Training £ 225. Write a Summary of your case histories and experiences as a Crystal Ray Healer. How you feel you have grown spiritually, and as a therapist of the Reiki Crystal Ray. 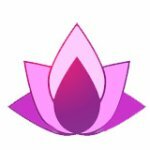 Write a short summary of your meditation experiences. A guide and outline for Teaching Level 1 with manual on a usb stick, or paper copy. You will provide your own Crystals for the Course, you will be sent a list of crystals required for the course, plus pictures to show you the recommended sizes. You can however, begin with a smaller kit of crystals, and add to your collection at a later date. There will be a meet up in Glastonbury at a set date before the course. If you wish to have some help selecting your Crystals for the Course you can join us for free, and a fun day out. Once you have completed Level 1, you will be asked to provide 6 case histories and complete the homework set out above, if you wish to Teach Reiki Crystal Ray Level 1. Upon completion, you may then join the 1 Day Teaching and you will receive a Teaching Certificate. Optional: This is the Advance Course, in this module you will learn new grids and advanced layouts to access Higher States of Consciousness, and meditation techniques for Advanced use of Crystals. Please enquire for more information. After completing the Reiki Crystal Ray Practitioner Level you will be able to train in the Advanced Masters. 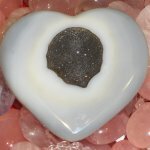 Reiki Crystalline Ray Advanced, you will be asked to complete a series of meditations with key crystals meditated with on the course, and provide a Composition of the experiences you encountered, during your own treatments and meditations, which will include your connections and experiences with the Deva’s of the Crystals, and the Master Kuthumi.